Specializing in Orange County Marriage Ceremony and Orange County Wedding Officiants. The Clergy Network can help you write custom Wedding Vows, obtain your Marriage License, become an Officiant and many other Wedding Tips. Your One Stop Wedding Shop! An Orange County wedding officiant is, in the most simple of terms, an individual who handles a wedding ceremony. 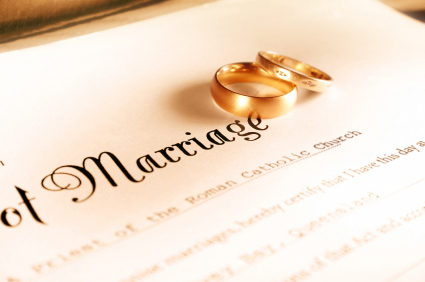 This includes exchanging of the vows and any announcements that are made during the ceremony. A wedding officiant might be a Justice Of The Peace, a Catholic priest, a Rabbi, or nondenominational religious or spiritual individual. Having the right Orange County wedding officiant at your wedding can be the difference between a ceremony that you are completely satisfied with and will remember forever and one that is less than memorable and/or frustrating. Religious beliefs vary from individual to individual as well as from couple to couple so it's extremely important to make sure that the officiant at your wedding is on the same page as you are. Orange County wedding officiants aren't hard to find though not all are as experienced or qualified as those that come from The Clergy Network. This is because the clergy network has been providing couples with Orange County wedding officiants for over 19 years. Over these 19 years our officiant's have seen it all and handled it all from very religious ceremonies to very secular ones and just about everything you can imagine in between. We have performed over 10,000 ceremonies in Southern California alone and our officiants are all friends and colleagues who not only studied and trained together for this profession but also received either a Masters or Doctoral degree through officiant programs. As far as Orange County wedding officiant go there are none better than the clergy network. Please contact TCN for Wedding Officiator details.